Plastic straws cause huge problems worldwide both to marine life and the environment, if you would like to take a stand against the obnoxious plastic straw you may be interested in a new reusable drinking straw called the ViableStraw. The compact, collapsible, reusable drinking straw has this week launched via Kickstarter and has been designed by Emily and James Price based in Vancouver, Canada. Watch the demonstration video below to learn more about the design and features of the ViableStraw. 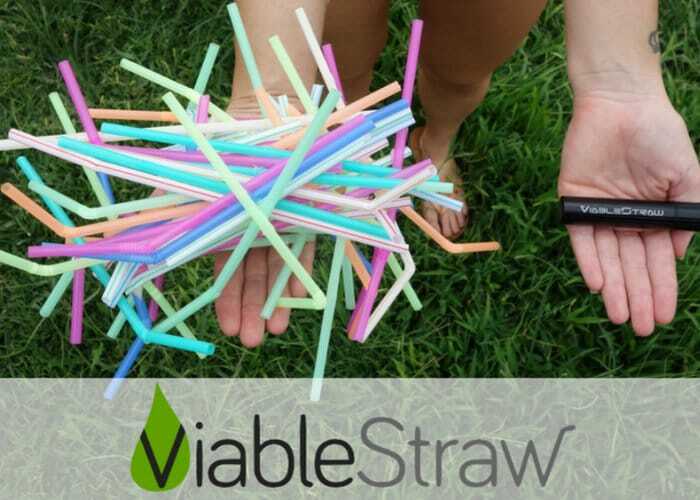 ViableStraw is now available to back via Kickstarter with early bird pledges available from CAD$22 or roughly £13. If all goes well worldwide shipping is expected to take place during December 2018. “ With restaurants, entire cities and your favourite coffee shops ditching plastic straws in the fight for a straw-less ocean, it has never been a better time to choose a reusable drinking straw”. For more information and and a full list of all available pledges jump over to the official Kickstarter campaign page by following the link below.